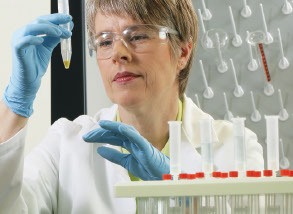 Thermo Scientific™ cell culture flasks are designed for consistency, cell health and reproducibility, with the surface and ancillary options in a tissue culture flask. Choose a cell culture flask from a variety of sizes, with culture areas ranging from 25cm2 to 500cm2 and a selection of surface treated offerings to address your specific applications and cell types. Enhance cell attachment, growth and differentiation with Thermo Scientific™ Nunc™ Cell Culture Treated EasYFlasks™. These polystyrene flasks receive the proprietary Nunclon™ Delta surface treatment to maximize adhesion for a broad range of cell types. The ergonomic design with angled neck and wide opening allows easy access to the growth surface by pipettes or cell scrapers. Made with high quality, optically clear virgin polystyrene, these non-treated cell culture flasks offer a high level sterility assurance ideal for suspension culture of non-adherent cells. Achieve maximum adhesion for a broad range of cell types with Thermo Scientific™ Nunc™ Cell Culture treated flasks with filter or solid caps. These flasks receive the proprietary Nunclon™ Delta surface treatment to ensure consistent cell growth. Enhance cell attachment to culture surface with the extracellular matrix coating of Thermo Scientific™ Nunc™ Poly-D-lysine or collagen I coated EasYFlasks™, ideal for culturing finicky cells that do not attach to the regular cell culture-treated surfaces. Nalgene erlenmeyer flasks are a safer alternative to glass. They won’t break, chip or shatter amid the bustle and bumps for everyday lab work. Enjoy the lightweight and ease of handling.